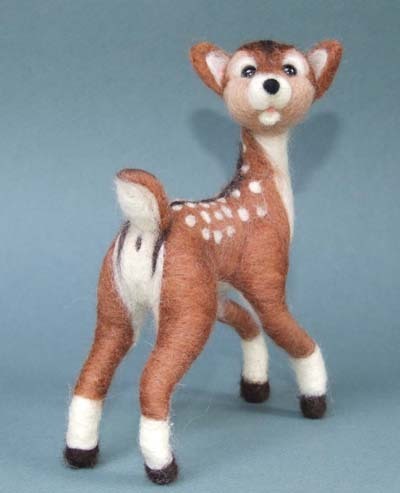 Diam was hand sculpted over a wire armature by repeatedly working raw wool with a felting needle until it formed the desired shape to create the muscle structure of a young Deer. Then the colour layers were added building up the outer coat which was dressed to give the final appearance. The whole process took me 6 days to complete.